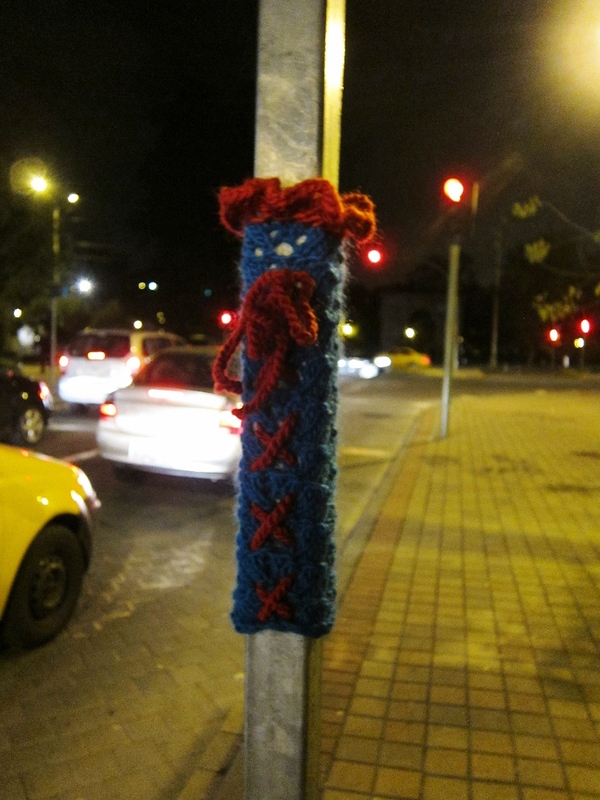 Belatedly, here’s a photo of my last Ecuadorian yarn bomb, at a bus stop across the street from the Hilton in Quito. We got into Quito too late for me to explore any further from the hotel for a more interesting spot. Yarn bomb in Quito, Ecuador - March 2011.